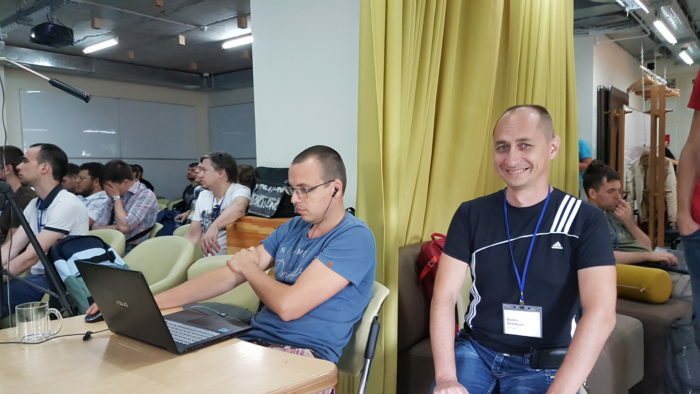 The conference, which brought together programmers and engineers from Ukraine, Germany, Poland, the Netherlands, Bulgaria, Britain, Russia, the Czech Republic, Turkey, and Belarus, was held in Odessa. About 500 engineers submitted their applications to participate in EECVC-2016. Due to a large number of applications, the selection of speakers was particularly thorough. As a result, the program of the conference included presentations of nine leading experts in the field of Computer Vision. Among them is Michael Norel, head of research and development at Augmented Pixels, Andrii Babii, a software developer at Geosynergy Pty Ltd., Technical Lead at Luxoft Victor Sdobnikov, James Pritts, a researcher at the Center for Machine Perception and a Ph.D. candidate at Czech Technical University, and other. Speakers dedicated their lectures to the research in the field of Computer Vision and application of this technology in robotics, localization and navigation of drones, and video recognition. Fyodor Polyakov, Core Developer at Looksery, spoke about optimization of Computer Vision algorithms for mobile phones. CMP team presented a demo version of its Image retrieval 2.0 for recognizing key points on the face and detecting text in photos. With this technology, you can search similar images from any pics on the Internet for real-time. 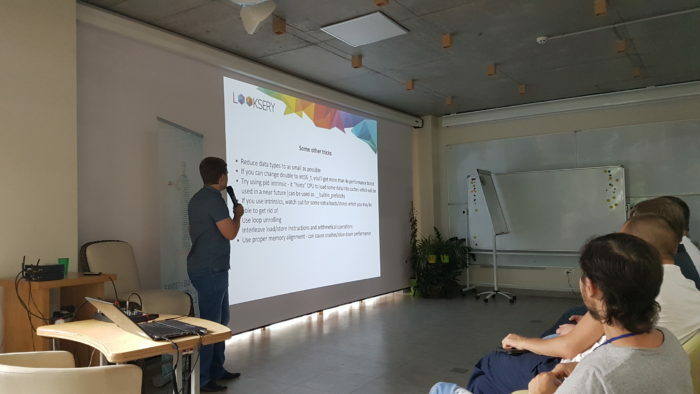 InvariVision co-founders Maxim Kamensky and Dmitry Yeremeyev talked about their developments in the field of creating a video recognition system. InvariVision technology is based on the AVM search algorithm for similar images, which uses the decomposition of recognition matrices. AVM recognizes the pictures in the form of color spots and with high accuracy determines the similarities. Even though EECVC is an industry conference, every year it attracts more and more participants from all over the world. The results of research in the field of computer vision are widely used in robotics, the creation of UAVs and video recognition nowadays. Since this industry is developing very dynamically, such events are of great importance for the exchange of experience between specialists from different countries of the world.